Bunnies To Babies – Constantly evolving…. SWYM Tip #4 Get Out Of The House…Often! Packing up one kid for an outing is challenging but add a couple more and it can be downright daunting. I’ve learned that the longer I stay inside the house the more difficult the thought of going out becomes. The supplies (diaper bag full of diapers, wipes, snacks, bottles, extra clothes, and other survival items), the tantrums to get dressed, out of the house and into the carseat, the poopy diapers on the way out the door when I finally thought we were ready, ect. Every time I do get out though I feel a sigh of relief, the change in environment can really perk up my mood as well as the kids. Some outings still end up being chaotic but the more you do it the easier it gets and you start to learn survival techniques for making it easier. I have seen a mom with one baby take 2xs as long to load up and leave a parking space as it usually takes me to load up all 4! 1. Always have the diaper bag prepped, when you get back from an outing refill any non-perishables so it’s ready for the next trip. 2. Start out with small trips, a walk around the block, a drive to the mailbox, coffee at a Drive Thru Starbucks, ect. 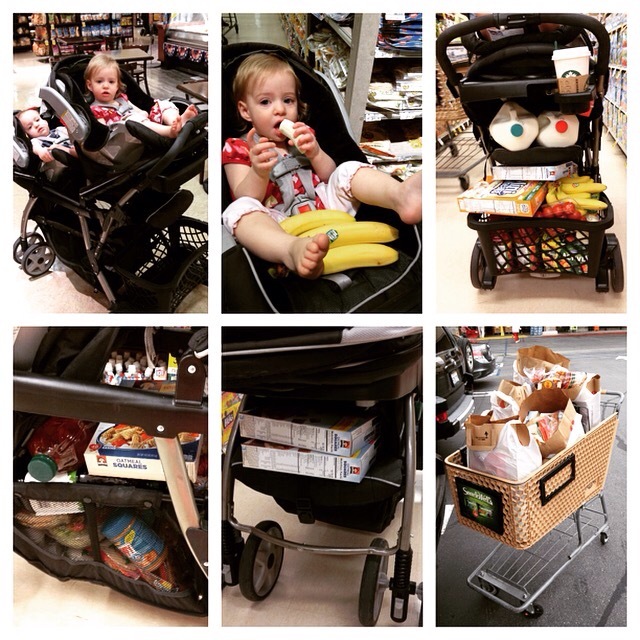 Shopping in large stores is trickier, especially once you get to the toddler age so try to go when you only need a few things and can get in and out quickly. Usually they can handle about 15 minutes of shopping before it starts to get ugly. 3. I love walks since I’m getting exercise, they are getting out of the house and usually the movement and view keeps them entertained. Trips to the ice cream store or to get a pizza are everyone’s favorite. Actually anything involving a tasty snack will usually do. 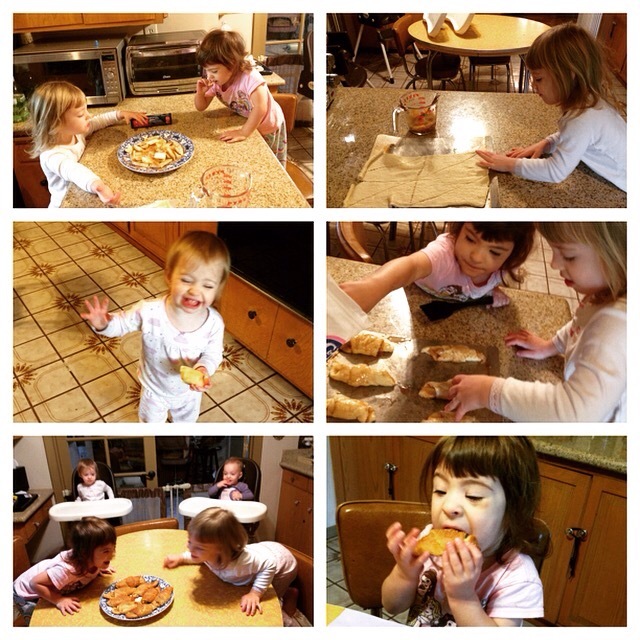 Below are the girls having breakfast tacos before Mom heads into the grocery store. 4. Play dates at homes and the park. These are a great way to wear the kids out and possibly have a few minutes of adult conversation. Join your local Mom/Parent group if you don’t yet have a good network, it’s worth it and really makes you feel sane when you know you are not alone on this unique parenting journey. 5. Use the trip as fun education, point out things on the way to teach them words, colors and counting. When we go on walks we use flowers in people’s gardens as a good color lesson and I get them to point and say things that they see and hear along the way. 6. Don’t stress out about what others are thinking…you most likely will deal with a public tantrum, messy situation or some other catastrophy at some point. I had one infant literally vomit all over herself, her car seat and the groceries when I was in a checkout line. Crazy stuff will happen, hopefully you will be able to laugh about it later and regardless you will know that you are stronger for just getting through it! Do at least 1 load of laundry per day. 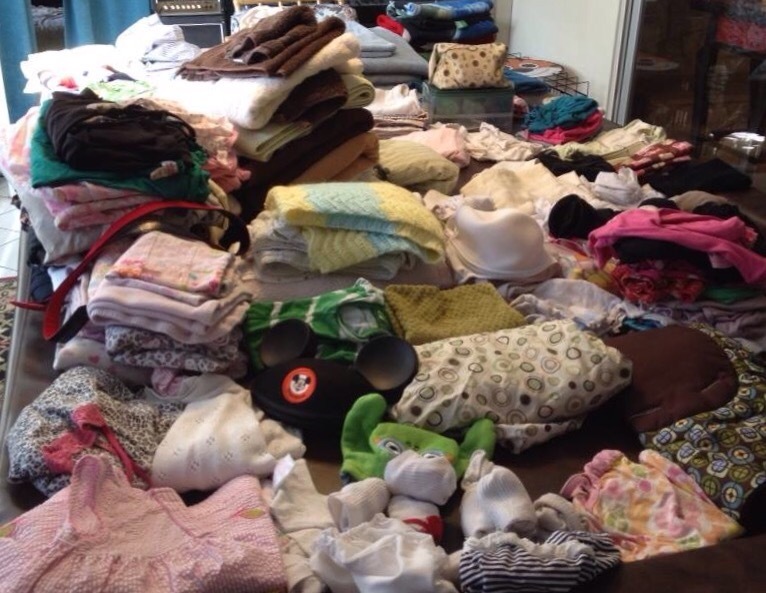 This means wash, dry, fold and put it all away. I’m not one of those women that loves housework, I actually hate it. If I don’t do it daily though, it builds up to catastrophic levels overnight, takes so much longer to actually finish and the simple sight of it is so overwhelming. Seriously, I’ve had nightmares about the endless stacks of clothes! The washing and drying is the easy part, it’s the folding and putting away that always kills me. It probably doesn’t help that I have toddlers running around pulling things out of drawers and knocking neatly folded stacks on the floor every time I turn around. I’ve been tweaking this recipe for the past few weeks but I think I finally got it where I really like it. All previous versions were devoured by the kids within hours of coming out of the oven so I think it’s pretty hard to mess it up. 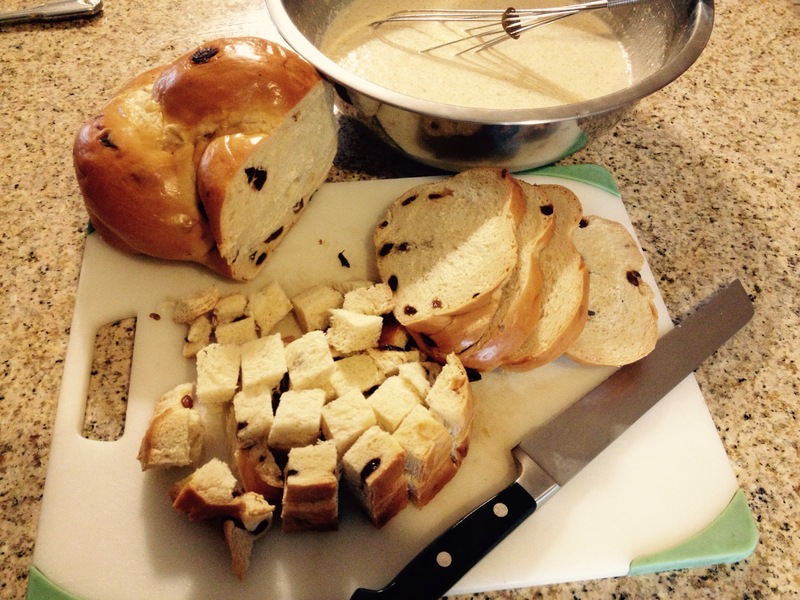 Depending on the cooking time it can be made soft like bread pudding or more crispy like toast. I like it in the middle personally (crunchy on the outside and moist on the inside). 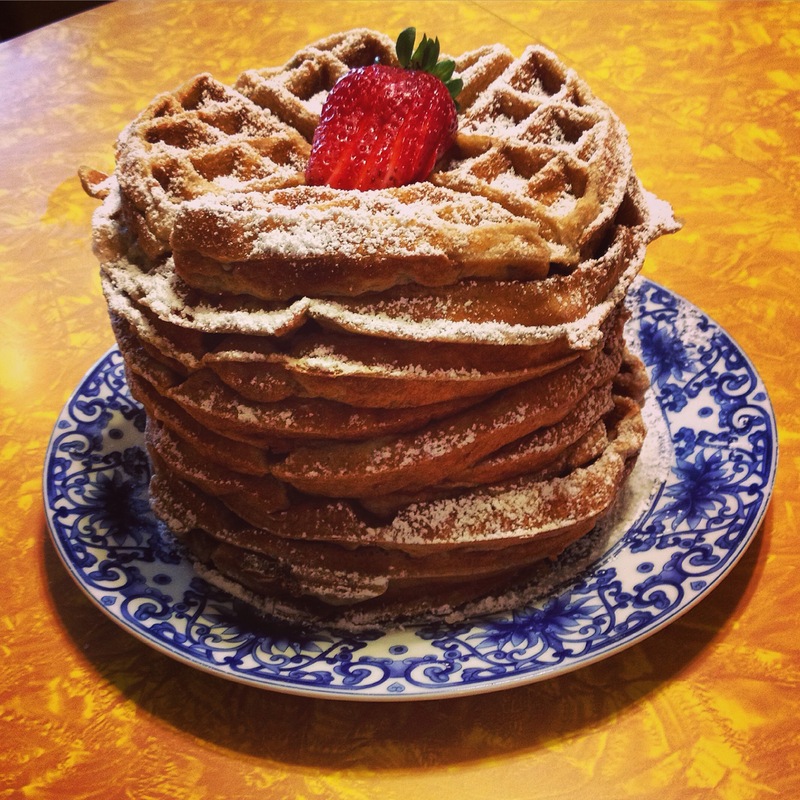 You can eat it just as is or add fresh whipped cream, butter, syrup or a simple sweet sauce. Fruit – This is where you can really put your own spin on it…Raisins, Cranberries, Granny Smith Apples, Peaches, Blueberries, Cherries, Raspberries, Bananas….one fruit or a combo, have fun with it. 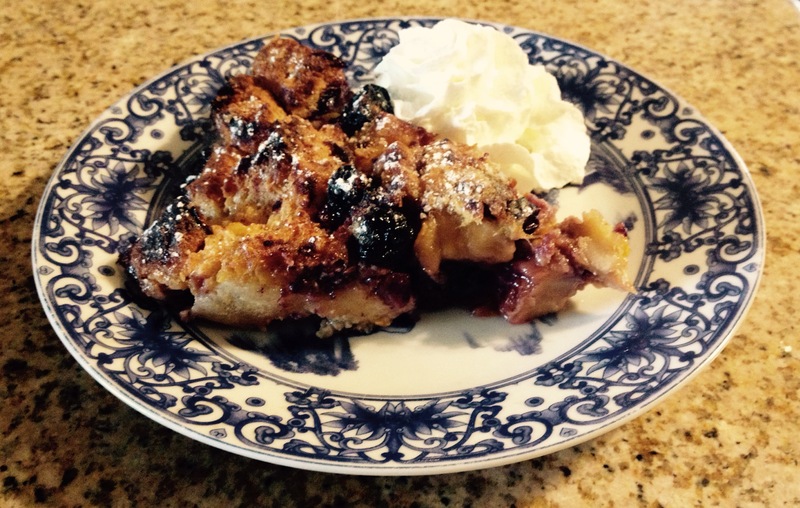 Today I made one with fresh blueberries and peaches and one with apples and dried cranberries. Nuts – Sprinkle some on top if you would like a little added crunch. Chopped pecans, almonds, walnuts, your pick! Set oven to 350 degrees. 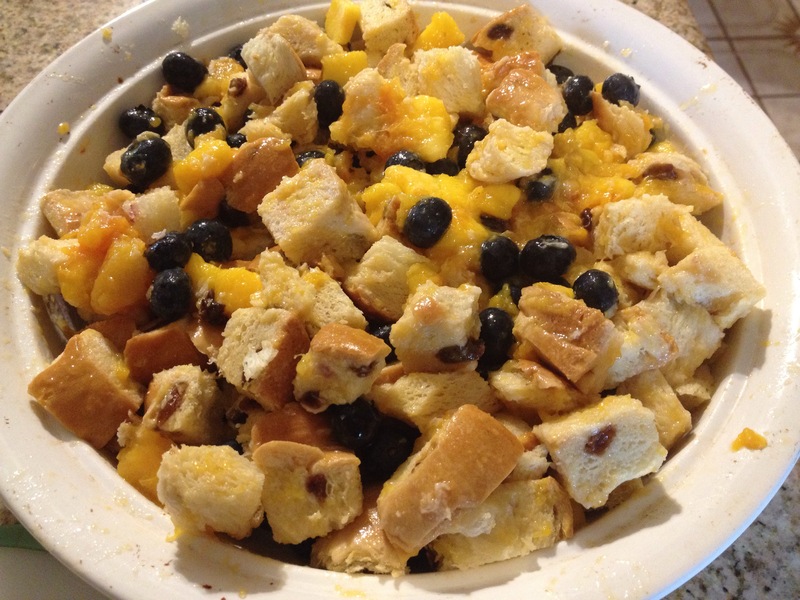 Cut the bread and fruit and mix together in your baking dish. Mix all the wet ingredients and spices in a separate bowl. 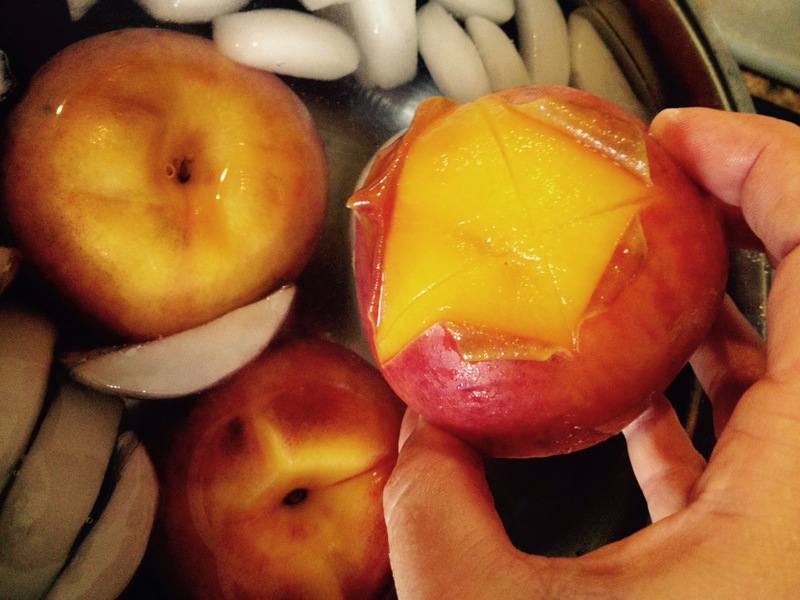 I used fresh peaches so I removed the skins first. Pour over the bread mixture making sure everything is well saturated. Bake for about an hour. The actual time will depend on what you want the final texture to be. I usually bake for about 65 min. It will look puffy when you first take it out and then will settle as it cools. Serve warm or at room temperature. Enjoy! Before having twins I would have thought many of these products were unnecessary or just being over protective. I came to realize that when you have multiples the game changes, judgements need to be put aside, the children’s safety becomes first and foremost, especially when you are outnumbered. 1. Safety Gates- depending on whether you have stairs, multiple walkways, unsafe rooms, ect will depend on what you need. The ideal is something that will last the full time you will need it. My kids are climbers and all pretty fearless so the best for our house were the extra tall metal ones. The temporary ones with the rubber stoppers only worked until they were walking, then they knocked them down and the lower ones were useless by the time they were 2 since they could easily climb over them. It’s also super important to make sure that it can be EASILY opened with one hand. With multiples you are almost guaranteed to never have 2 hands free! 2. 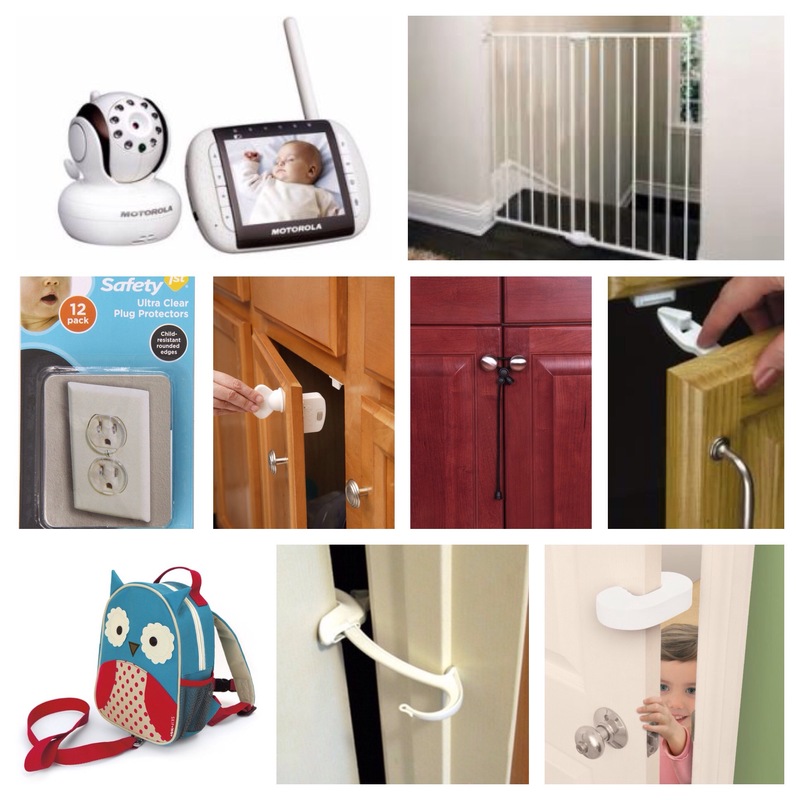 Door Safety – Statistics show that finger injuries are a very common reason for ER visits with toddlers. Again this will depend on your home’s needs. There are great products to prevent round knobs from turning but our house has a different style of knob so we lock the important rooms that we can and use the Door Monkeys and pinch guards for the other doors. There are items that stop pinches from the hinge part of the door and ones that stop them from fully closing the door. Depending on how strong and destructive your toddlers are will decide what and how many different items you need. Check the reviews on all items before you buy them. 3. A Camera System- Cameras are great for many reasons. When you want them to sleep uninterrupted but still keep an eye on them when they are little and when you need a bathroom break with climbing toddlers, a camera will always give you a bit of piece of mind and at the least a few seconds to prepare for an accident or fight. I love the ones that we have because they can scan the whole room, you can buy multiple cameras for one monitor and they can be moved easily. 4. Cabinet and Drawer Locks- As soon as they could figure out how to open cabinets and drawers my kiddos were getting into EVERYTHING. It was dangerous and very messy. These items have been lifesavers for us. 5. Outlet Protectors -The outlets seem to be of concern for many parents…I experimented and was zapped a few times when I was a kid but nothing too bad. Regardless of my personal experience I did plug all the open outlets for now. 6. Safety Harnesses – This was a tricky one. Before kids I have to admit I balked at the parents who used harnesses, but after experiencing my first 2 toddlers trying to run off into different directions I had a serious change of heart. If you have more than one young child some form of harness or strap is a must. From all my conversations with other parents I have learned that it is very common to have at least one “runner”. The kid that just wants to go and as soon as she/he sees an opportunity they are off. Accidents can happen so quickly so I am now a complete advocate of these. Some kids like backpacks and some hold hands and just need a little wrist support. You know what’s best for your little ones. Here is what we use. 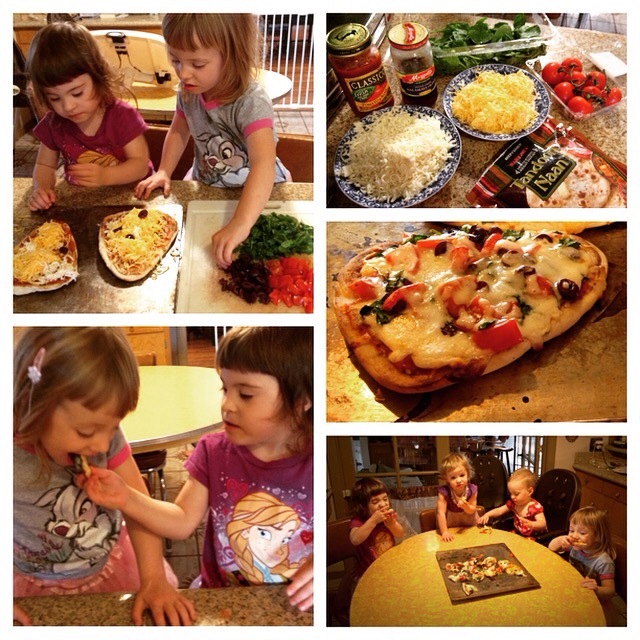 Mini pizzas are a great little project for toddlers, they get to make and eat one of their favorite foods. It’s also a good way to get them to eat lots of veggies. I like using Trader Joe’s Naan or flat bread but you can do this with homemade or store bought dough or even pita bread. I like to give them lots of colorful veggie options. It makes the pizzas pretty and a little bit healthier. The main thing is just to be careful of adding too many wet ingredients or weighing down the base. I usually bake them at 425 degrees until the cheese melts and the crust is golden brown. If you like a crispy crust put it in without a pan but for little ones who like a soft crust you can use a cookie sheet. This will be the beginning of my “Surviving with Young Multiples” section. I will try to give at least one tip a week to help out others who have little ones of the same or close to the same age. The acronym for the title is very suiting since I know at times I have definitely felt like I was drowning in dirty laundry, dishes, diapers, bottles, ECT with very little sleep. The first months are usually a blur for most new parents but having multiples makes it much crazier. Whether you are a “make it from scratch” or a “premade mixes” sort of person the key is to try to make at least a few meals worth at a time so one day’s work eases up the following day’s responsibilities. The extra food can be stored in the fridge or freezer. 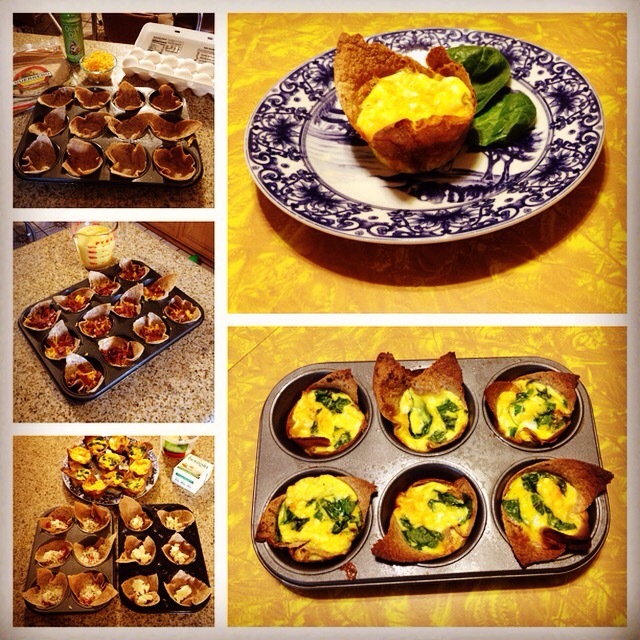 Breakfast foods like pancakes, waffles, mini quiches, muffins and breads are all great examples. I make large batches of all of these and freeze most of it and put a couple of day’s worth in the fridge. Pastas, casseroles, chilis, stews and soups are all great examples of lunch and dinner foods that store well too. If you have room in the garage or basement having a separate freezer comes in really handy. We originally bought ours to store frozen breastmilk while the babies were in the NICU but I honestly don’t know what I’d do without it these days. Cooking food in batches can be really handy when I’m short on time and the kids need a quick healthy snack. These quiches can be made with any cheeses, meats or veggies you prefer. I made 5 different flavors at the same time so we would have lots of variety and 36 quiches took less than an hour. They freeze well and reheat quickly, just make sure they are fully cooled before packaging them. Heat oven to 425 degrees. Oil muffin pans (spray oil works really well for this). Tear tortillas in quarters and press one quarter in each muffin space. Whisk eggs, milk, salt, pepper and any herbs you might like together. Put fillings in each cup then pour egg mixture on top. Bake until set, about 20 minutes. After lots of practice I think I’ve mastered grocery shopping with young twins. I tried using the shopping cart before but I seem to be able to be more efficient with just the stroller. It’s also great since doing it this way they can nap if they want to and I don’t need to wake them going into and out of the store. 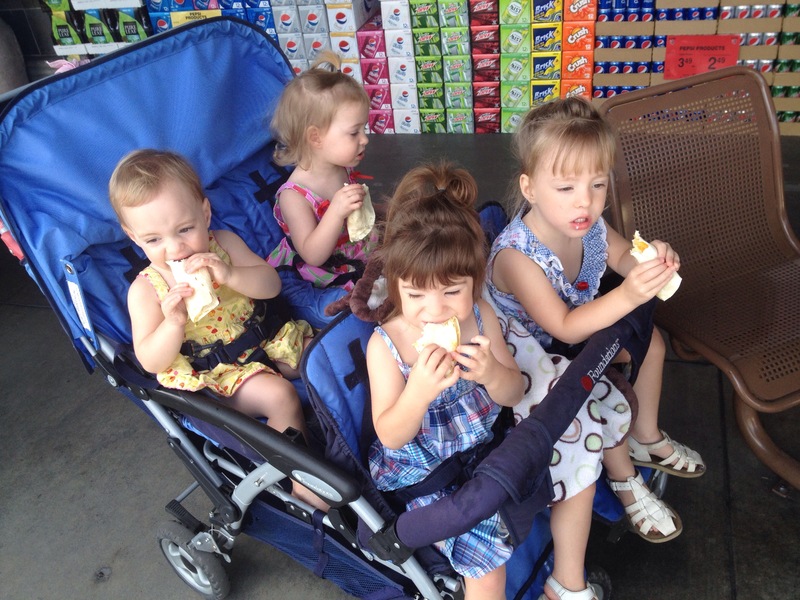 I rarely take all 4 to the store since the quad stroller is too wide and the older two will grab things off the shelves and cause all kinds of trouble since 3 year olds have a much harder time sitting still. If I have to I make the trips very quick and make sure to give the snacks to focus on. Bananas and little snacks work great to keep them occupied. Have a list so you don’t forget anything and can shop quickly. Know what’s in each of the aisles so you don’t need to do a lot of backtracking. Let them know at the checkout you will need a cart and help getting it to the car (most big grocery stores are happy to do this). Lastly, try to have a little fun and treat it as an “adventure” so they’ll look forward to going instead of dreading it. This was a great little intro project for the girls. It’s super fun and easy so I thought I’d share the basics. Sauté or microwave the butter, apples, cinnamon and sugar until soft and saucy. Put the apples on the triangles of dough and then roll them up. Use the sauce left over to brush on top of the rolls and then sprinkle the sugar on top.